President Omar Al Bashir announced a four-month ceasefire on June 18 that was confirmed by the Sudan Armed Forces spokesman Ahmed Khalifa Al-Shami. But on July 11, SAF-aligned militias attacked a farming area in Lima, South Kordofan state and killed one woman, Fatima Ibrahim. Three days later, the same SAF-aligned militia along with SAF soldiers attacked the Lima area again but were repelled by SPLA-N forces, according to local sources in the area. The SAF-aligned militia consists of Messiria tribesmen who attacked the SPLA-N in retaliation for an attack by an SPLA-N soldier against them earlier in the year, according to Tia Jambo, who runs a peace-building programme at the community-based organization, the Nuba Relief, Rehabilitation and Development Organization (NRRDO). Many Messiria in the region, however, refused to join the government-aligned militia, he added. The rebel Chief of Staff, Gen. Gagod Mukwar described Bashir’s ceasefire declaration as a ploy to buy time to reorganize his troops, saying a genuine truce would involve a negotiated agreement between the two parties, monitored by the African Union. In late June, South Kordofan Governor Issa Adam portrayed the presidential declaration as “bold” since the armed forces were allegedly winning militarily. The governor further said the ceasefire would allow residents in the SPLA-N controlled territory an opportunity to farm, according to an interview on the state-run Radio Omdurman. The European Union issued a cautious statement at the time of Bashir’s ceasefire declaration, affirming that the rebels had proposed a ceasefire earlier in April and calling on both sides to uphold a unilateral truce. “It is imperative now that both parties respect their commitments, an end to fighting would ease the suffering of the local populations,” the statement says. Sudan’s July attack on Lima has curbed SPLA-N and civilian access to movement and trade in the area. SAF forces have targeted the area dozens of times during the five-year civil war, blocking a key trade access for the region. 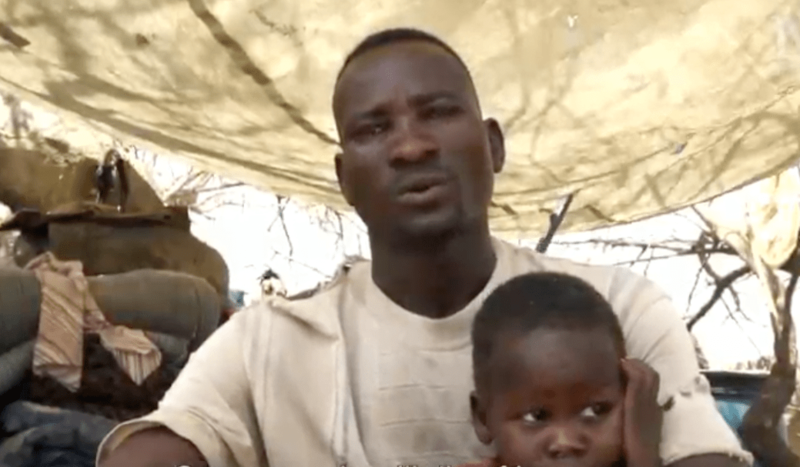 SAF forces have remained in control of two key agricultural areas in the Nuba Mountains throughout the ceasefire period: Al-Azrak in Heiban County and Mardes in Delami County – denying the populace farming access. SAF forces may remain in these two areas throughout the rainy season when the conflict usually subsides due to lack of road access. The inability to farm has induced many to rely on foodstuffs from markets, local sources said, where prices are on the rise. At the time of writing, African Defence Review had received no response from the Sudanese government. This article will be updated if we receive a reply.